Shows your friends tweets as Growl notifications. Is there a better alternative to Scalare? Is Scalare really the best app in Internet Utilities category? Will Scalare work good on macOS 10.13.4? 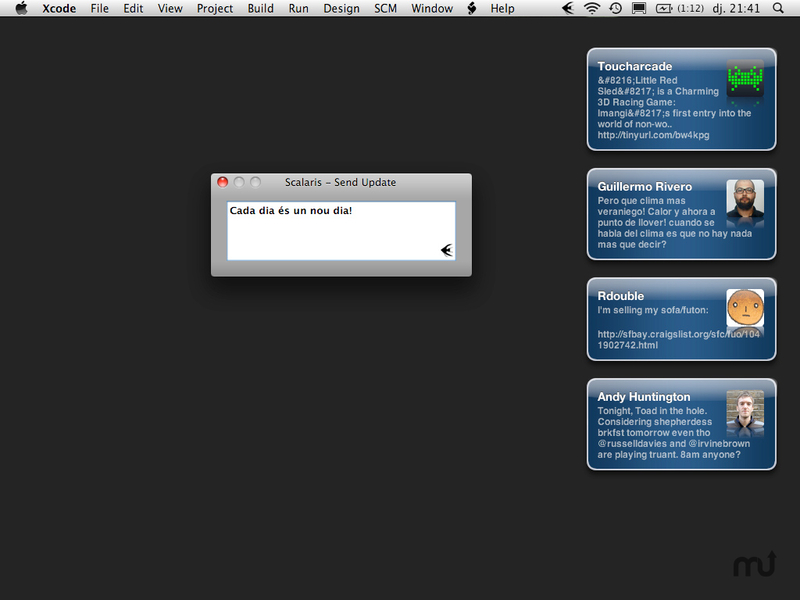 Scalare is a minimal Twitter client built as minimal and unintrusive as possible. It shows your friend's tweets as Growl notifications. Fixed some old references to the old app name in the UI. Reinterpret '<' and '>' to show properly on tweets. Scalare needs a rating. Be the first to rate this app and get the discussion started!